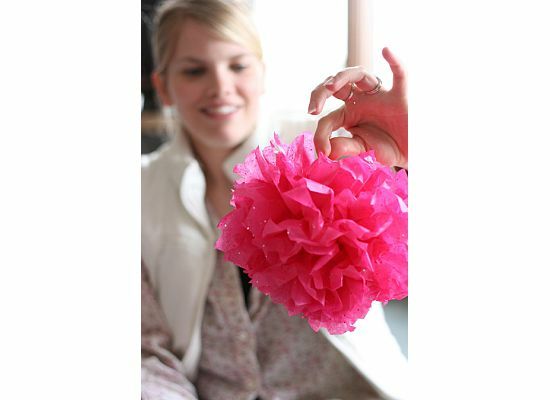 Women on a Mission: Mom Edition: WOMS LIKE POMS! 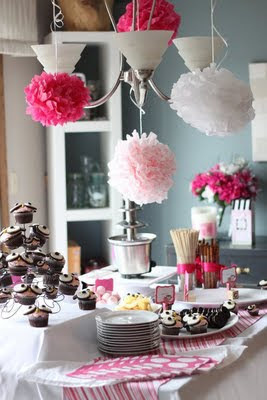 Remember the shower post that I did recently that featured pinks, browns, owls, and so much more—it was DIVINE! (PS: Still no news on the new baby, but mom is ready for her arrival!). Crafty Katie and crafty Danielle threw this shindig and it was AWESOME! 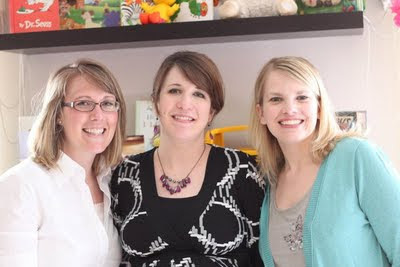 Danielle, soon-to-be-mom Andrea, and Katie! ADORABLE! 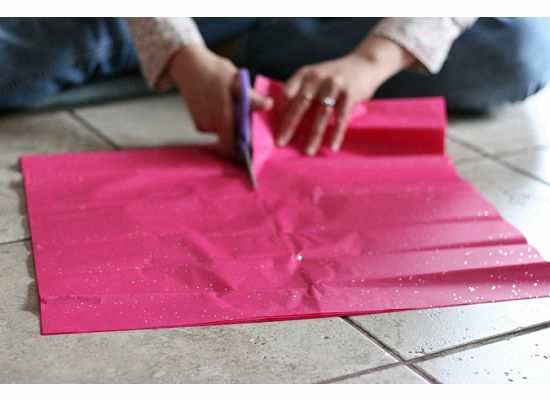 Take 8 to 10 sheets of tissue paper and cut in half. 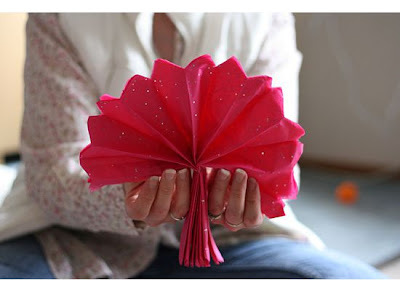 Take one of these halves and fold accordion style, making each fold approximately an inch wide. 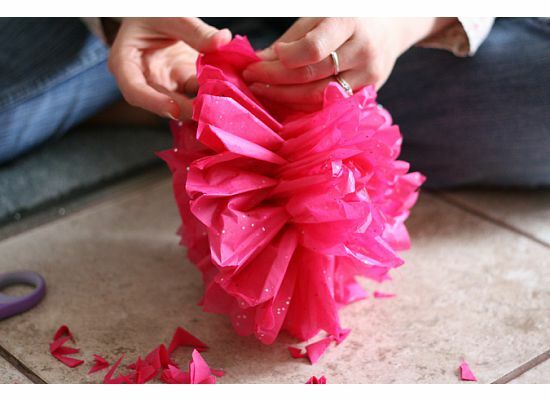 Then take a light gauge wire about 6 inches long and wrap around the center of your accordion folded tissue paper. You can fold this in half to make sure that the wire is in the center. Trim ends to be either rounded or pointed - we did some of both. Fan the two halves created by the wire. Gently pull apart each layer of tissue paper until they are all separated. 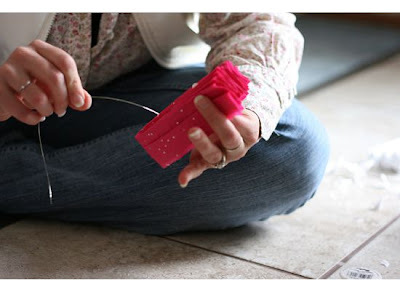 Tie a ribbon or fishing line to the wire to hang. Sounds simple! And AFFORDABLE! 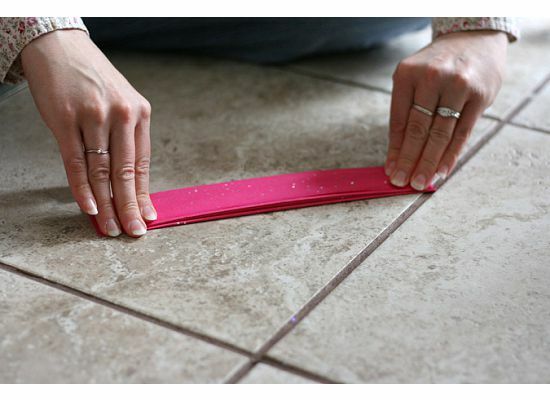 Thanks Katie and Danielle for this simple and adorable tutorial! ETHNE AND I DEFINITELY PLAN TO MAKE THESE SOON! Totally WOM-WORTHY!